It can be overwhelming to decorate for the holidays. But ya know what helps? Carb-loading. 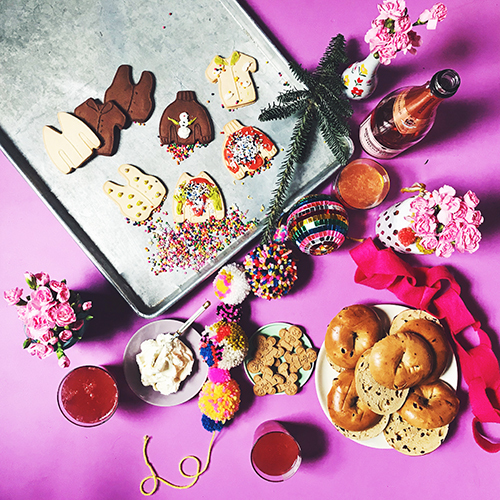 I recommend arming yourself with friends, Cranberry Orange Bruegger’s Bagels, Cranberry Orange Mimosas and all the cookie and craft supplies. 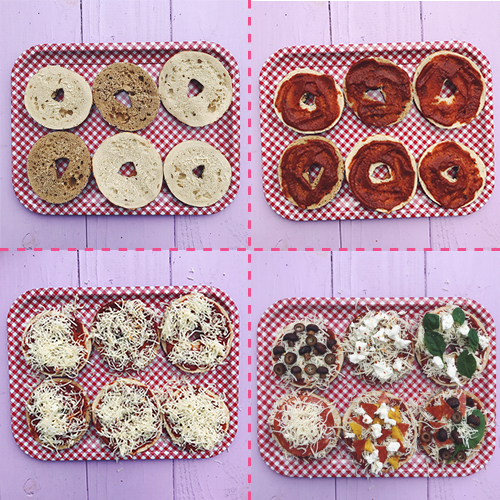 Add sprinkles to your bagel! Top it with a cookie! Yolo the hell out of this month. Not to be typical, you see, but rather to make it through. It’s a pressure-y time of year, so let’s lay off and go easy on ourselves. Only have time to make 4 pom-poms? I bet they’re really cute. Wanna eat a bagel, nap, then eat another? Live your life. 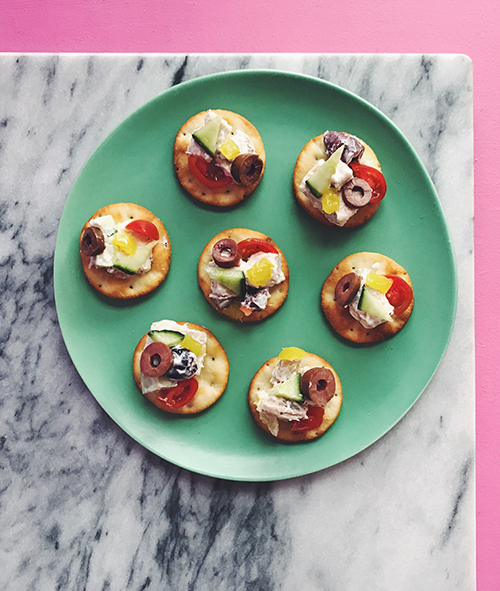 Do yourself a favor and get your bagels catered while you’re at it! And OMG, the Cranberry Orange bagels are available for a limited time so to grab them while you can. Hurry! I was paid by Bruegger’s Bagels to promote their product. But don’t let that make you feel weird. 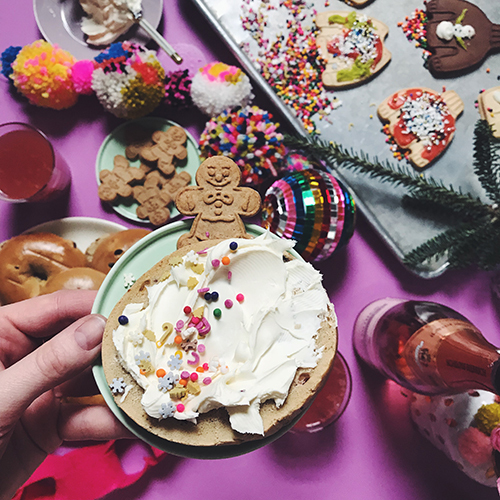 My love for turning bagels as holiday motivation is real. Thanks for supporting the sponsors that help me keep doing what I love. Summer isn’t over. And you better believe, I’m living my life that way! I dyed my hair pink, I’m going to pool parties, I’m going on long walks, I’m grilling pizza bagels. And I’m gonna tell you how to do it. 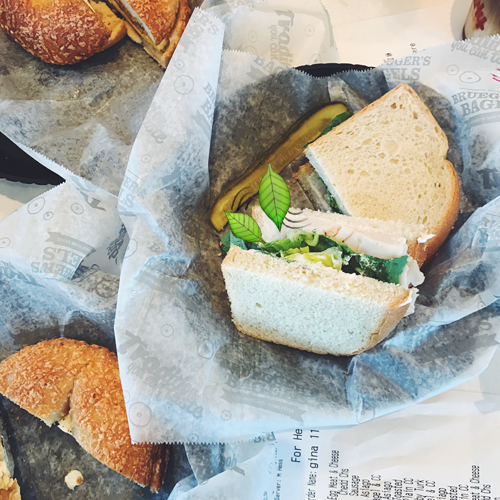 First, you gotta head to http://bit.ly/2v3vEoy and then visit your local Bruegger’s for their Labor Day steal of a deal of $3 off their Big Bagel Bundle. 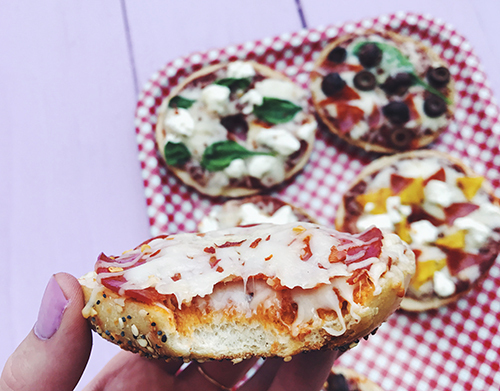 Arm yourself with bagels and pizza toppings, and definitely friends. 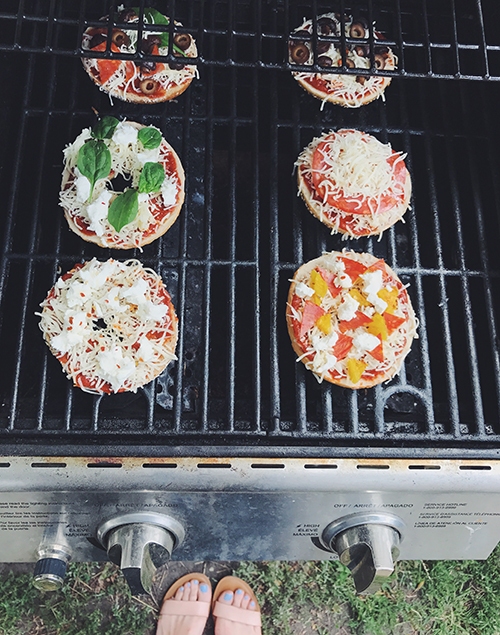 If you wanna top ur pizzas with veggies or pineapple, grill them first! I tossed the small button mushrooms with olive oil, salt and pepper and set it on foil on a 375F grill for about 15 minutes until the mushrooms were tender. I grilled pineapple right on the grates! 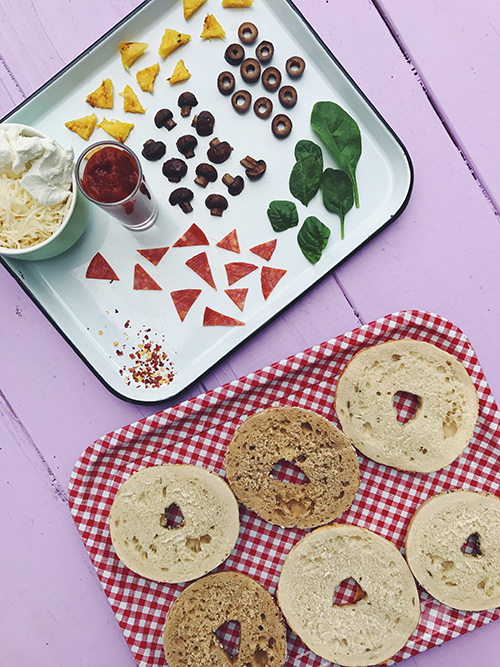 Prep the toppings and maybe let your friends top their bagel the way they want. Def try to keep an Everything bagel for yourself. Or on second thought, maybe only offer Everything bagels? It only takes about 10 minutes for the cheese to get super bubbly on a 375F grill. Just eat it like a cookie in your backyard. If pieces fall on the ground I bet there’s a dog at your party to help ya out. I was paid by Bruegger’s Bagels to promote their product. But don’t let that make you feel weird. 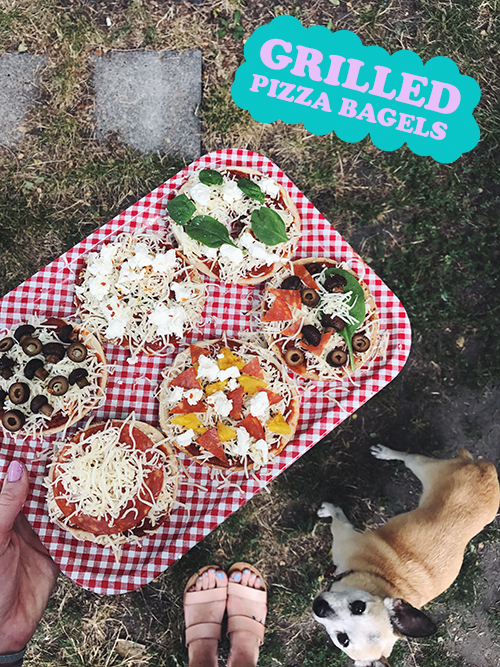 My love for turning bagels into pizza is old news. Thanks for supporting the sponsors that I get to help me keep doing what I love. I’m in love with the color of the cream cheese layer. It’s a purple-y dream! And it’s a double blueberry sitch. Creamy and dreamy Bruegger’s Blueberry cream cheese PLUS fresh blueberries cooked with sugar. 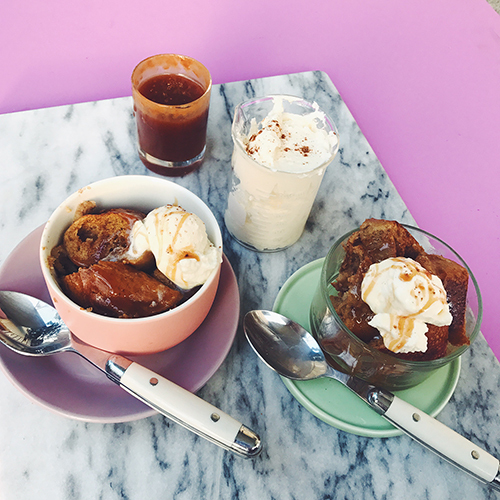 Honestly, it’s everything summer would want you to eat for breakfast. Elliot, my lovely babe-ly co-workers and I all sampled this. Everyone loved it! I gotta say that Elliot loves it best tho. He keeps leading me to the kitchen to sample it more. 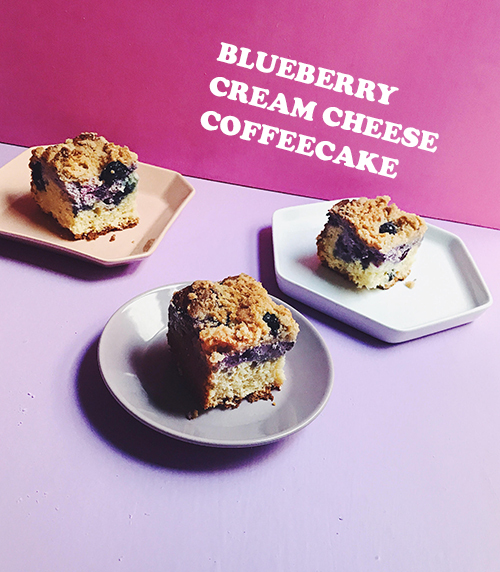 The bottom is nice and cake-y, the middle is creamy and dreamy, the top is crumb-y and with dat little bit of salt, it’s the perf way to start your day. Each slice is basically a square muffin. 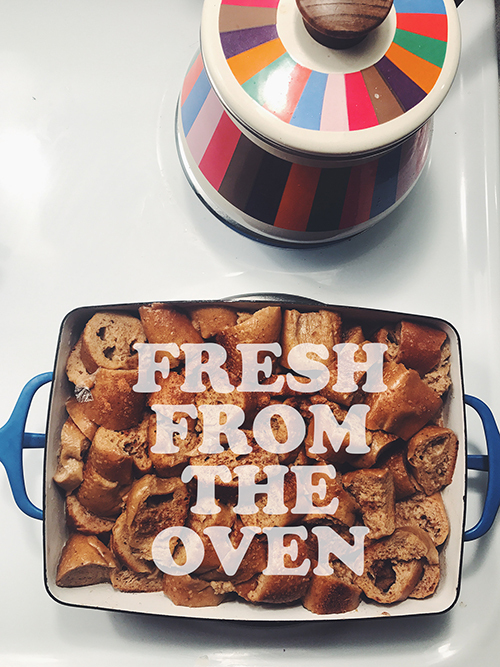 Preheat oven to 350ºF and grease a 9-inch square baking dish. 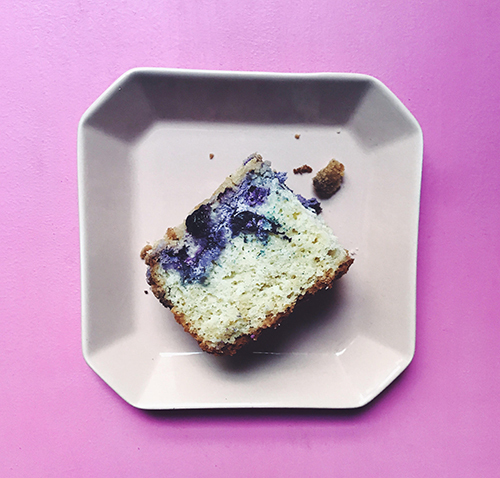 To prepare cream cheese layer: Cook blueberries and sugar together over medium heat until blueberries release juice. Mash and transfer to a bowl. Add cream cheese, egg white, salt and vanilla. Whisk until smooth. Set aside. To prepare streusel: In a medium bowl, mix together flour, brown sugar and salt. Cut in butter with your pastry blender or fingers until mixture resembles coarse crumbs. Set aside. 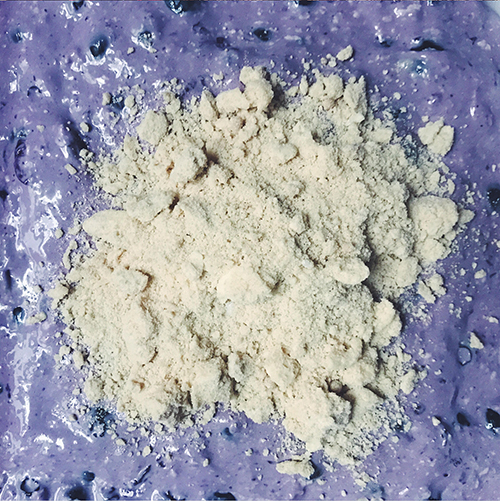 To prepare batter: Beat all batter ingredients (except blueberries) in a large bowl with an electric mixer at medium speed. Pour batter into prepared dish. Scatter blueberries on top. Top with cream cheese layer, then follow up with the streusel mixture. Bake for 1 hour (check at 50 minutes), or until a toothpick inserted in the center comes out clean. Cool cake for 15 minutes in pan on wire rack. Slice and serve with coffee. 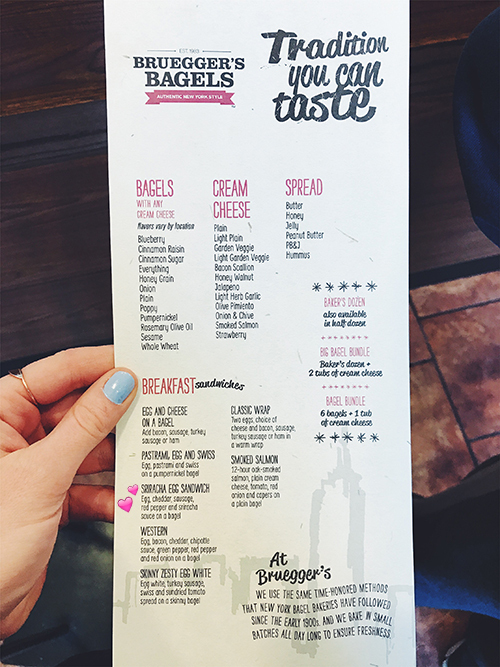 Bruegger’s Bagel’s got a make-over and it’s looking real cute. 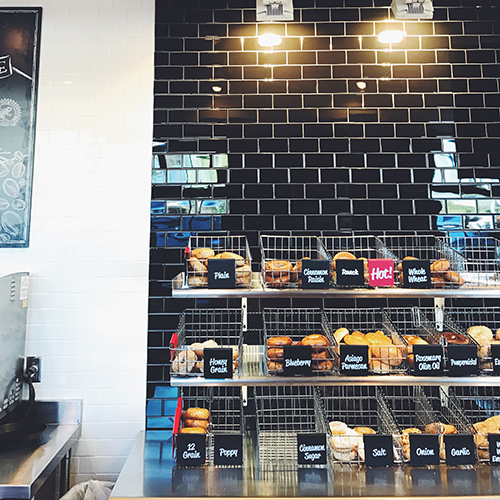 Loving the subway tile behind all the bagel flavors! Whoa. Sriracha egg-wich?! Count me in. Love this bagel diagram! Not only is it cute, but f’real tho. 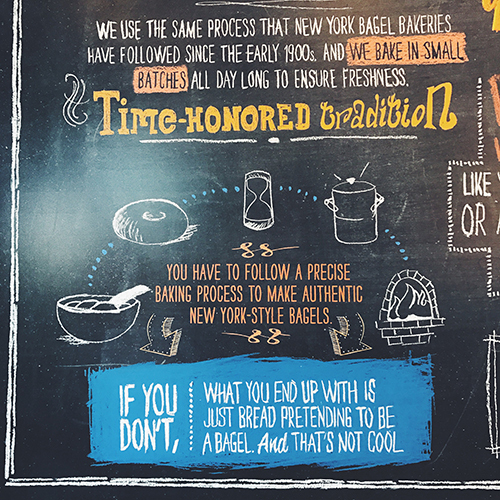 Let’s all eat real sincere bagels that are true to themselves. 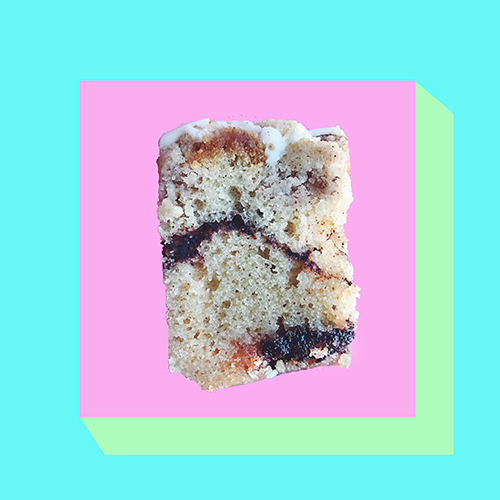 And what about this psychedelic coffee cake?! They were giving out free samples. I’m all about that cinnamon swirl. Their coffee is from Rainforest Alliance certified farms! You can def get espresso dranks. These photos were taken at the Bloomfield Hills Location! I was paid by Bruegger’s Bagels to promote their product. But don’t let that make you feel weird. My love for bagels is ride or die. Thanks for supporting the sponsors that I get to help me keep doing what I love. Next time you’re snowed in, ya might wanna make sure you have these ingredients on hand. 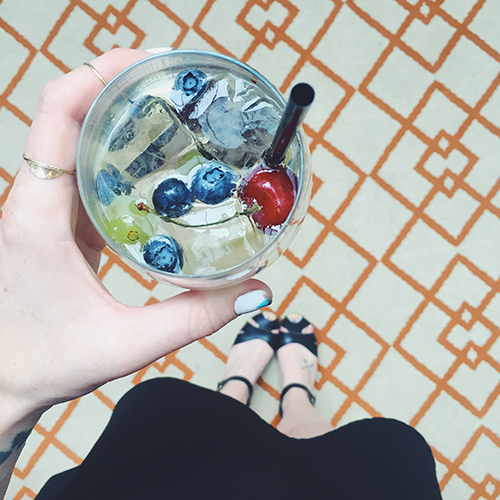 It’s the perfect pre-nap/post-brunch drink. Or! 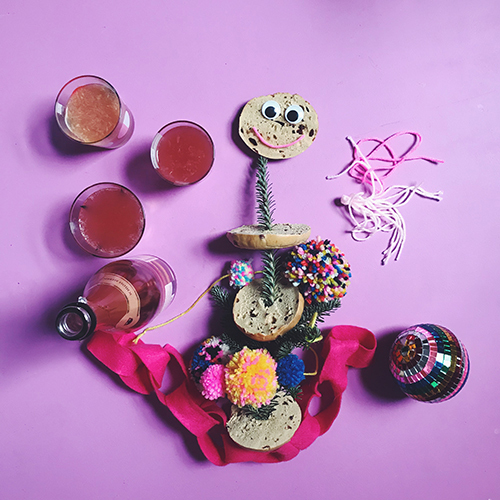 You could even bring the ingredients to ur next party! Then you can tell everyone you’re bringing a hottie to the party, which we all know is what ya want (and I want) to do. 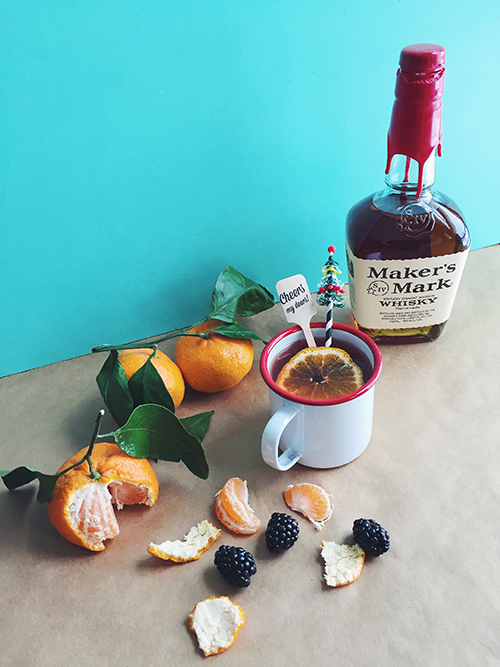 Stir together the syrup, whiskey and ginger liquor in a mug. 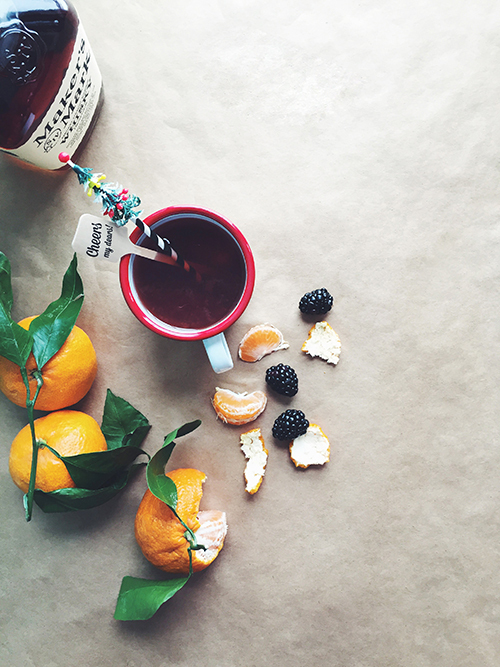 Top off with tea and a squeeze of an orange. Sip! In a small saucepan warm the berries and syrup over medium heat for 5 minutes. Gently mash berries. Remove from heat. Full Disclosure: Maker’s Mark gave me a #MakeItTeaLicious care package full of booze, lil mugs etc. in exchange for getting cozy with it cocktail style. Thanks for supporting the brands that help make this blog possible! Because you see, I really love this drink! And I’d make you one if you came over. Recipe adapted from dis one. OMG. You guys, these cookies are so cute and tasty. 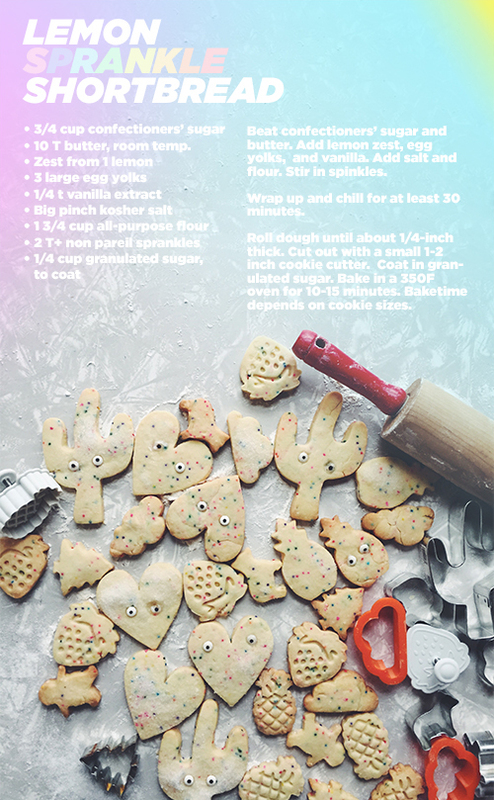 The truth is the idea stemmed from wanting to make lemon poppy seed cookies shaped like a dog because Elliot had fleas recently. Thought the vet would think it was funny. Ended not having any poppy seeds and I always have sprinkles, so here you are! Going to a cookie exchange? Need 3 dozen cookies? Make these tiny. Everyone loves a teeny cookie! Everyone also loves a cookie with eye balls. IDK! Just know they’re tasty, easy and well, if you want one I have some for ya to try before ya commit. 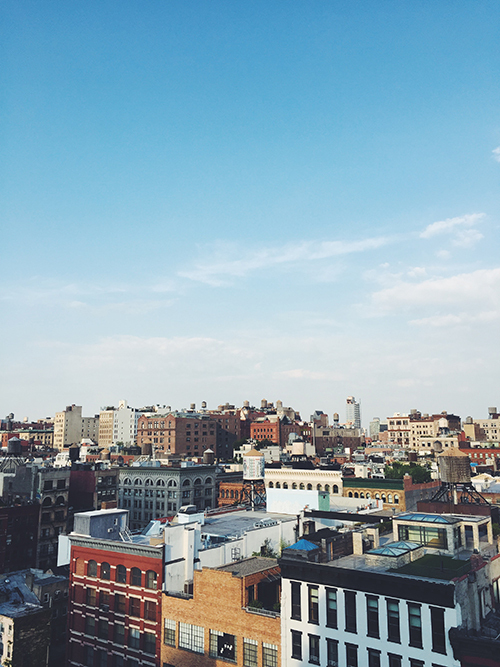 Last weekend, I went to NYC and stayed in SOHO and sipped beers on the rooftop of my hotel. This last minute trip was like the universe giving me a present that I could dunk into savory yogurt. On the way I saw cute clouds that I’d dip grilled veggies in. 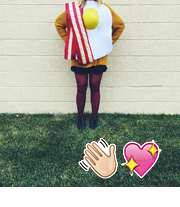 Care bear af, right? 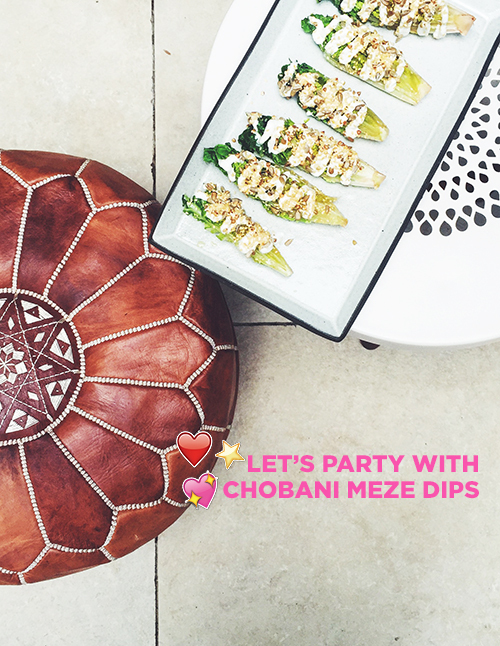 Hung out at the #ChobaniMeze Home where the food was cute and so tasty. See that mango lassi with yogurt in it!? 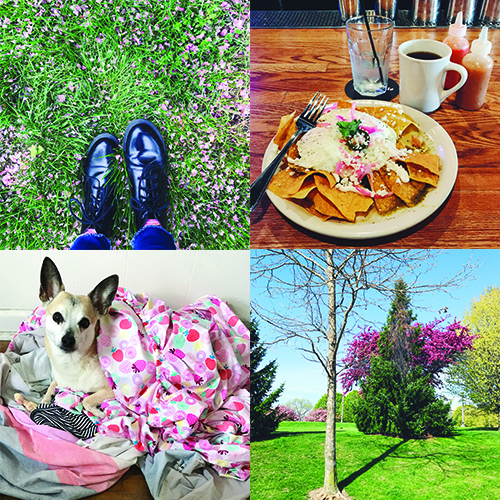 See that cute strawberry rhubarb sitch with the best matcha cake crumbs?! 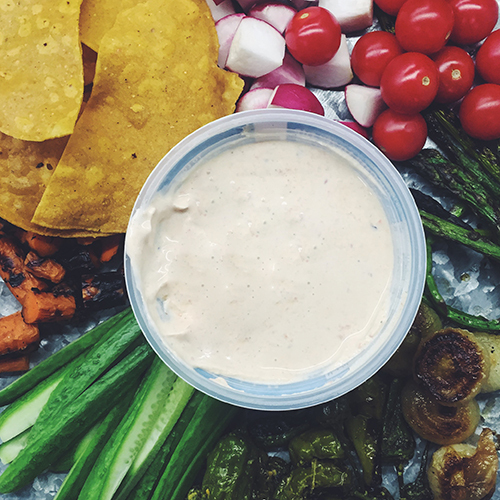 I just wanna grill all the veggies to dunk in this Meze Dip for the 4th of July. I’d recommend you do that too! 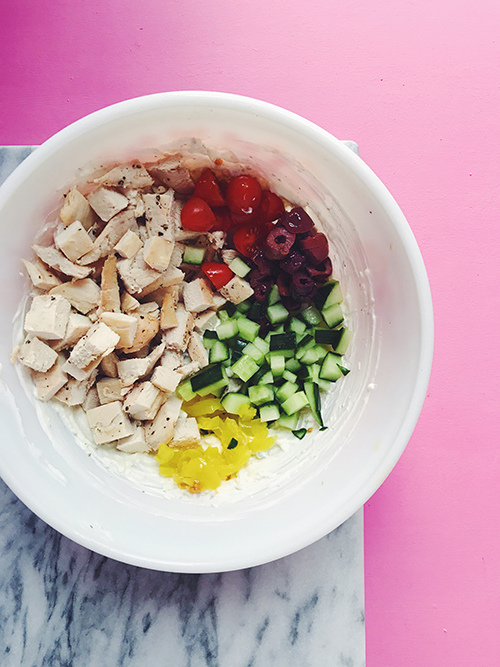 So easy, and fun, and dips can totally be a meal. Just eat a bunch of it! oh! 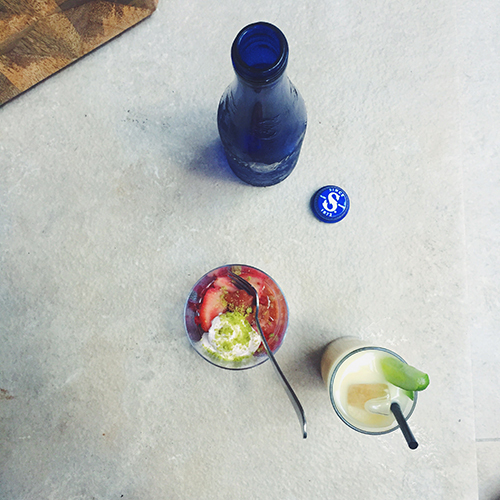 And at the NYC event, I sipped white sangria too. And sat outside on a dream patio. Ate so many grilled carrots and chatted with bomb women. The Meze Home was a dream. 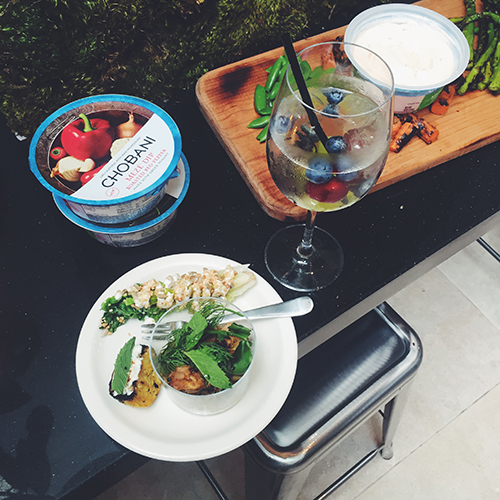 You could just walk by a mint plant and grab a sprig to pop in your cocktail. It’s really a dream way to live. 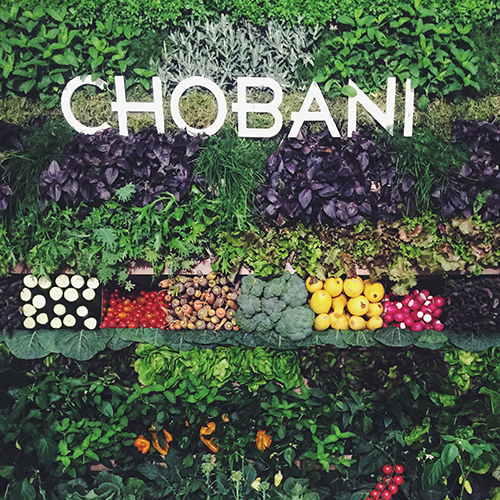 And can you believe this edible wall?! 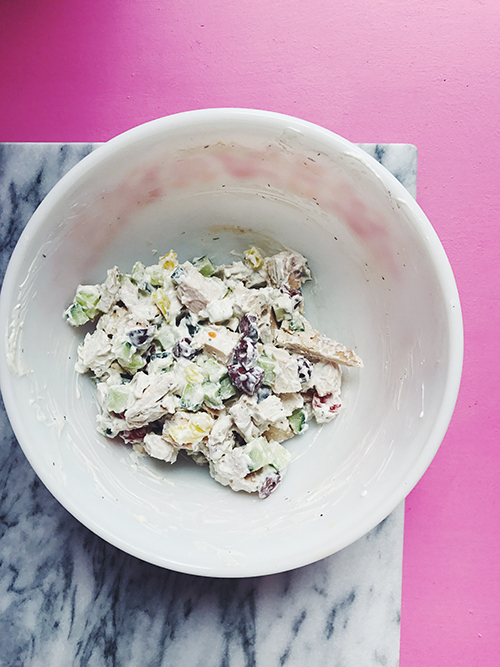 You can just grab some produce off the wall and snack on it. 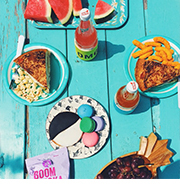 SNACK ATTACK decor, ya’ll. I miss you already, New York. You were the long distance boyf I needed right when I needed ya! Thanks, Chobani! The trip was a dream, and those Meze Dips tho. 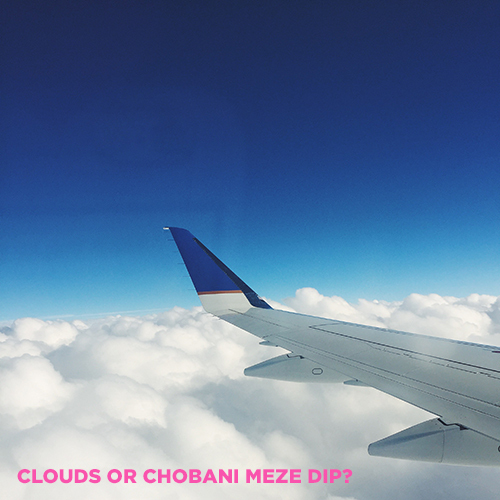 Full disclosure: While this trip was sponsored by Chobani all the opinions above are my own. I wanna dip errything in these dips. I am really into pasta, would maybe even say I have a passion for it. I’ve been known to get a mac and cheese for one together and bake it for the time frame it takes me to run 3 miles. POW. Anyhow, while it’s super tasty with tons of cheese, hopes, dreams and sauce on top, it also can be part of a healthy meal or even a solid lunch idea. So that’s part of what Passion for Pasta is all about — being passionate about pasta and passionate about eating it, cooking with it, making it, shaping it, sharing it and preparing it. Sharing your passions with others, ya know? Bringing a lunch to a friend at work, even! 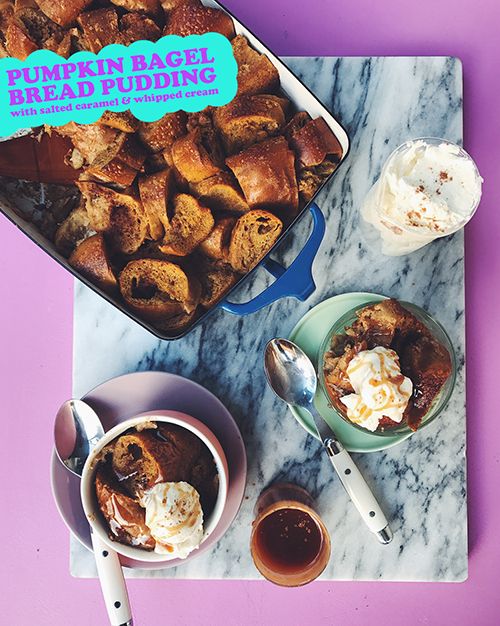 And all the while keeping in mind that not all carbs are created equal. Here are a few recipes that help me express my passion for pasta. 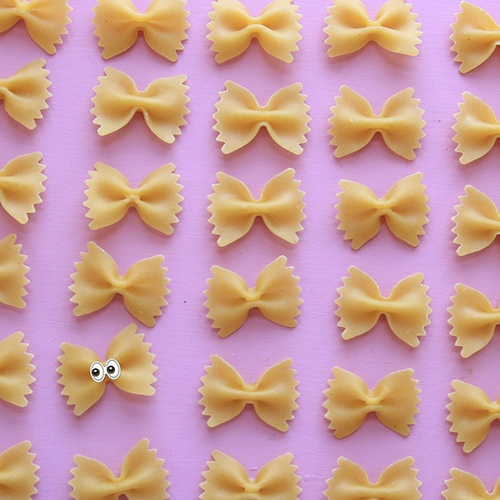 I love farfalle pasta. AKA, bowtie. AKA, super-cute. 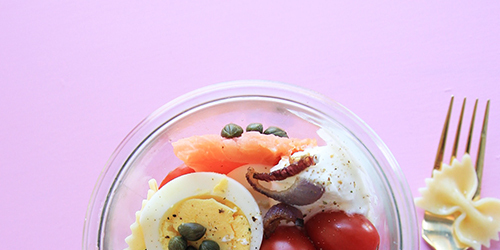 It pairs like a dream with some smoked salmon, plain yogurt, capers, tomato, egg and fried onions. Kinda reminds me of the breakfast remix to a cute bagel-wich. 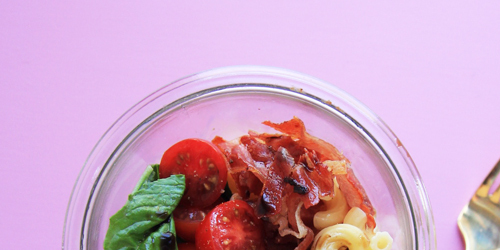 Toss them in a jar with crispy prosciutto, basil, tomatoes, balsamic vinegar and bebe mozzarella balls. Your work frenz will probably pay for your pedicure if you bring them this. 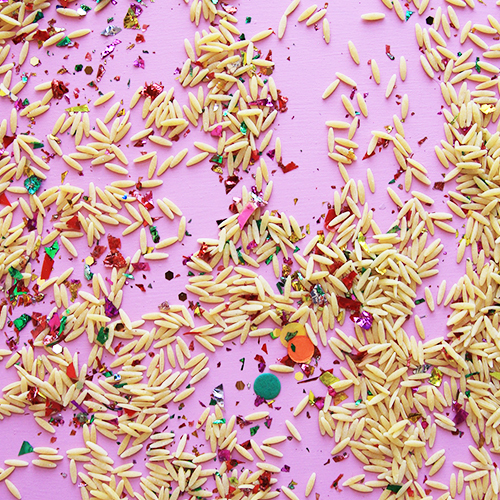 I like to think of Orzo as the confetti of pasta. 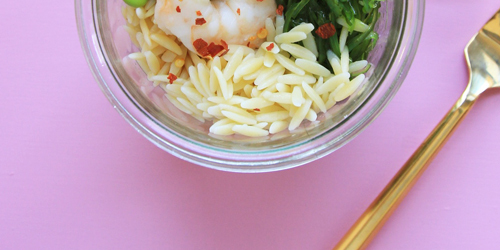 Boil it up and make this Asian-inspired salad jar. 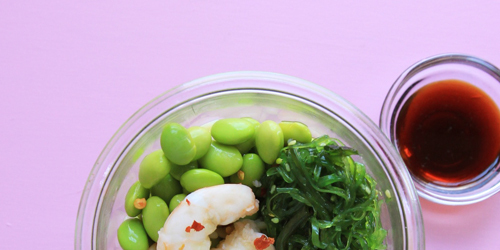 Shrimp, edamame, seaweed salad and soy sauce. Pow. Lunch was saved again! 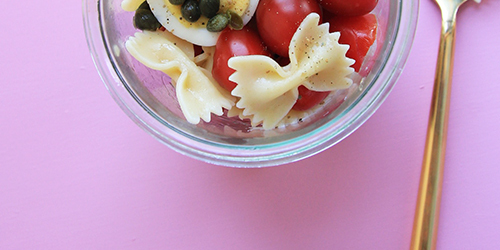 And, real talk, isn’t it fun that pasta dishes can be put together with ingredients you have on hand? 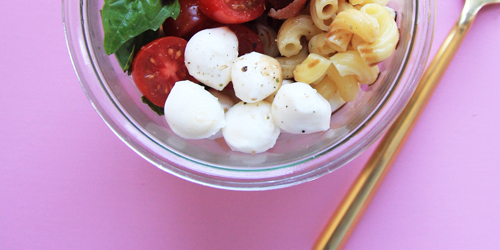 Pantry pasta is what’s up. Find all three recipes on Passion for Pasta! 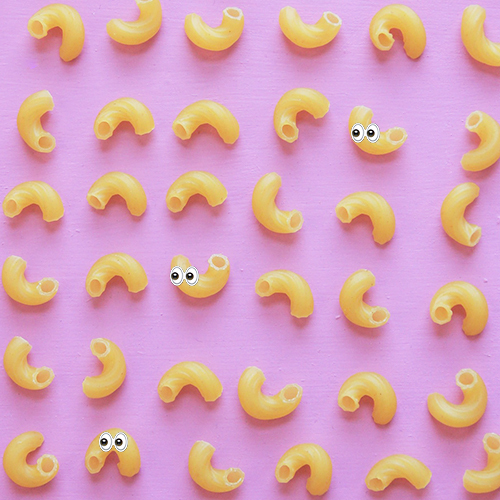 Check things out on social with #PassionForPasta, too, while you’re at it! 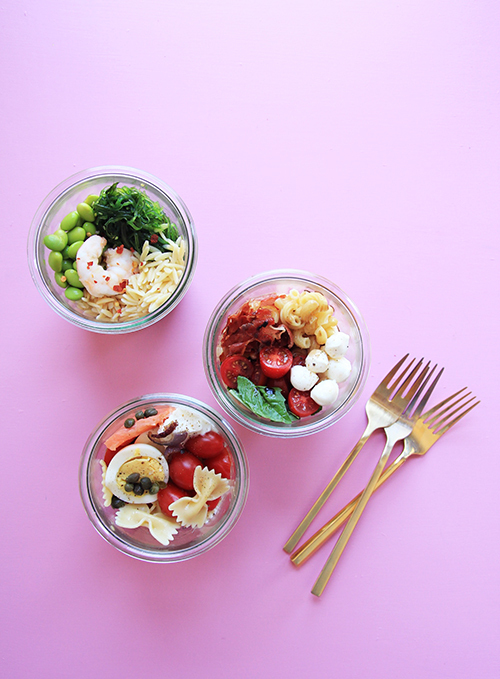 Full Disclosure: I partnered with Passion for Pasta to make these salads! They supplied the cute pasta and recipes, and I supplied the confetti and gold flatware. While this was a partnership, all the opinions above are my own.